More footage of the upcoming Detective Pikachu movie has been released, this time in the form of extended TV spots released in North America and Japan. The footage shows off some previously unseen moments from the film, including our first detailed close-up of Pancham. Pikachu also says the phrase "sweet mother of Arceus" which is sure to go down well with the true Pokénerds browsing this very site (us included). We're still waiting on an official upload for the footage contained below so, until then, feel free to check out this recording (we're not sure why it's labelled as 'HD' either). Update: The North American trailer footage has now been shared officially in much higher quality. The video featured in our article originally - with both NA and Japan's footage - is still viewable down below. The trailers we've seen so far seem strangely promising for a video game movie - an odd subgenre of film that has produced almost exclusively poor results over the years. 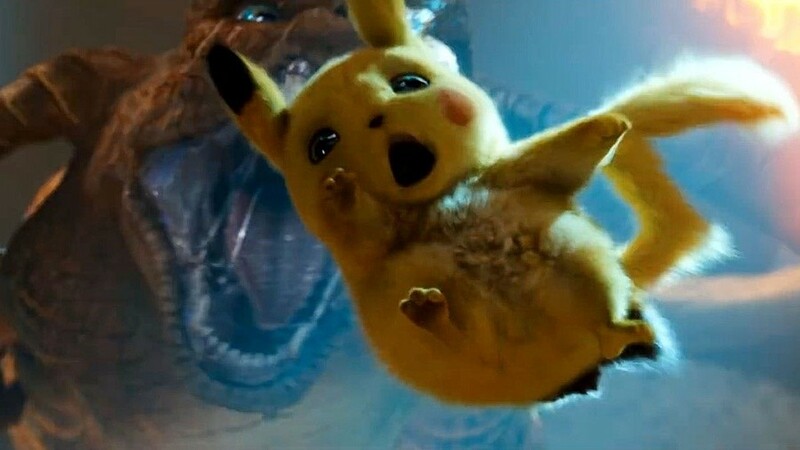 Could Detective Pikachu be a genuinely great live-action film based on a video game? We're starting to think it really will be. To cute lol, i have never played any of the pokemon games i vaguely remember the cartoon with team jessie and james growing up but this is looking great so will be there on open and maybe it will peak my interest to try the new game on switch. It would be good if they would make an pokemon platformer / adventure game as not really into strategy games personally. Man, the world needs this! It's the first time I can actually get to say I find Gengar to be terrifying. Too bad it took an abomination for me to say so. Was that "I need a hero" in Japanese? I'm already sold, any further trailers are just spoilers at this point. Should I be embarrassed about wanting to watch this in my 30's? Looks cool too me.